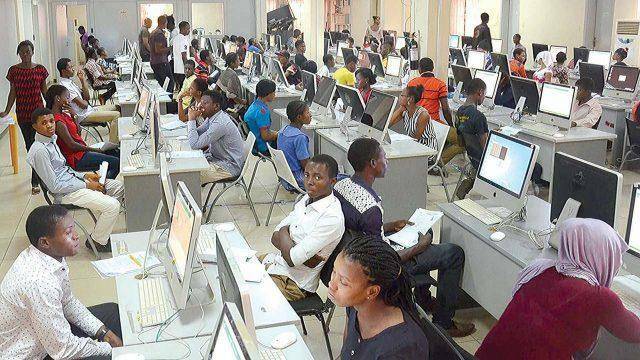 ​You are welcome to Monitor the Nationwide Progress of the 1st Day of JAMB 2019 UTME, this day on, 11th April, 2019. New comments and reports are added every minute. If you want to remain updated, you will need to reload this page as often as you can to check out new comments that have been added. Today 7am na wire!!! I swear...!! Jamb wan kill person.. See physics calculations person go just dey stranded,confused, lost n oblivion..
Organic chem na another one gan... Jamb just plan am.. I don taya for them.. If u knw u aren't prepared well enough biko go and get ur arsenals o.. Jamb ready well for this one.. Although the thing conc. But e make sense like Samson. What is the name of the inhaler? Where did bobo travel to? Who wrote that little note about my heart skips when I think about you? What posing was aliyah going for? What was aliyah nice name?? Na that few I remember sha..
Pls work with the time.. I thank God for successful jamb exams i wrote today. My center is gestric infotech and management institute,akwa ibom. Starting from the biometric verification to writing the exams. Everything was perfect! Blesso: The register in the use of english that i wrote is about money. Out of all the past questions that i have been studying before i wrote the exams,Jamb repeated very little past questions;so what you will see are majority of questions that are not repeated. My advice for you all is to read well...for physics forces tho,Biology succession..